Today on Thursday 8 April 2010 One Indian Premier League match took place in which Deccan Chargers Defeated Royal Challengers Bangalore by 7 wickets. Match was played in Bangalore. Royal Challengers Bangalore played first and scored 184 runs for loss of 6 wickets. 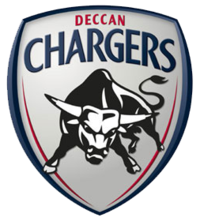 Deccan Chargers got the total in 19 overs for loss of 3 wickets and won the match by 7 wickets.